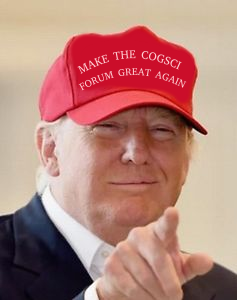 Our goal is to make the CogSci forum a welcoming place where everyone can find the help they need. I think we've done a great job so far—soon we will have our 10,000th comment! But this explosive growth has made it difficult to give everyone the help they deserve. Our small team simply cannot keep up. So we need your help! You can get started right now by answering a question or two. You don't need to be an expert. You just need to be friendly and share your knowledge with someone else. Do you know a bit about OpenSesame? See if there are any open questions on the OpenSesame subforum! Do you know a bit about statistics? See if there are any open questions on the JASP and BayesFactor subforum! Do you know a bit about Python? See if there are any open questions on the Expyriment or PyGaze subforums! Start answering questions! We will notice. Together we can make the forum great again!